Want your dessert table to really sparkle? Here are a few of our favourite metallic wedding cake ideas. Want a sweet treat that shimmers and shines? We suggest looking at metallic wedding cake ideas. 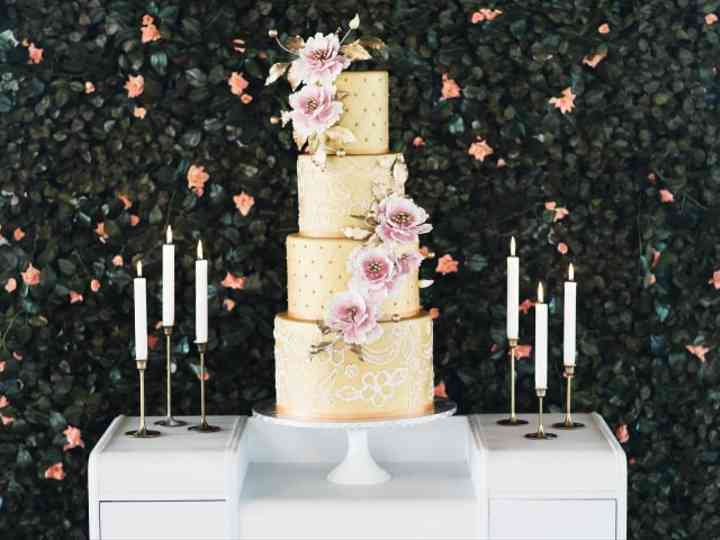 We’ve put together a list of our favourite ways to embrace this 2019 wedding cake trend so that you can create a unique wedding cake design that suits your wedding theme perfectly. From gold leaf accents to painted tiers, these are some amazing ways to make your dessert table’s star sparkle. Here are some metallic wedding cake ideas we’re totally obsessed with. Gold or silver leaf accents are a great way to spruce up your wedding cake design. You can add a few flecks here and there (this looks great on some naked wedding cakes styles, too) or ask your wedding cake baker to mask entire tiers for a bolder design. If you do go this route, we recommend adding a few metallic flecks to the other sweet treats in your dessert spread, too. OK, Picassos, this one’s for you! Give your dessert an artistic edge by embracing this metallic wedding cake idea. Adding a few brush strokes to an otherwise basic design will make it ten times more stunning and worthy of the star spot on your sweet table. 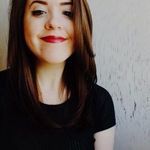 If you’ve taken a scroll through Pinterest lately, you know that drip designs are super on-trend ATM. Adding a metallic trickle in gold, copper or silver to your confection is an easy way to shake up an otherwise plain design and give it that extra oomph. Keep in mind that this style packs the biggest punch when paired with a simpler base design, so try not to overdo it. Fade your cake from white (or any other colour) to a metallic hue for a wedding cake that’s more than Insta-worthy. This looks great when done used in combination with another style, like ruffles, rosettes or brush strokes, so feel free to double down. Speaking of rosette and ruffle wedding cake ideas, make a dramatic statement with a bottom tier decorated in large gold rosettes contrasted with a plane tall tier on top. We love the addition of gold velvet ribbon to tie the whole look together. Ask your baker to etch a design onto your tiers with some glittering food colouring, fondant or dragées, if you just want to add a little touch of metallic to your cake. When it comes to this metallic wedding cake idea, the world is really your oyster - you can go bold and geometric, sleek and simple, ultra-elegant or totally out-of-the-box. Can’t commit to just one metallic wedding cake idea? Choose a unique design for each tier! For example, you could do one metallic layer as the base and add a simple buttercream cake and a ruffled tier on top to make things a bit more interesting. You could even choose a different metallic design for each level for a super visually stunning dessert.